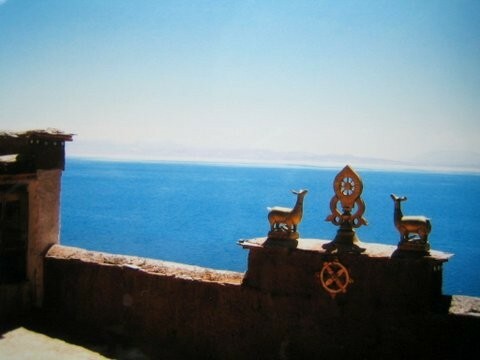 This is a unique opportunity to visit Mount Kailash in Tibet as part of a small group of spiritually inclined people, with 10 days set aside for time to perform kora (a Tibetan word which means circling around a sacred abode) around Mount Kailash. We will travel overland from Kathmandu into Tibet visiting several holy Tibetan sites before continuing to Lake Manasarovar and finally Mount Kailash. There will be an introduction in Kathmandu. We will then travel together from Kathmandu and around Lake Manasarovar as a group. During all of this time we will meet for guided meditations and there will be the opportunity for one to one meetings with Nicole where she offers support to you on your spiritual path, if you wish. 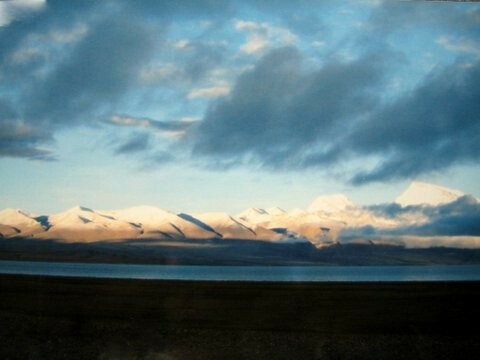 A week after leaving Kathmandu, we will arrive at Lake Manasarovar where we will spend four days, from there one can see Mount Kailash. 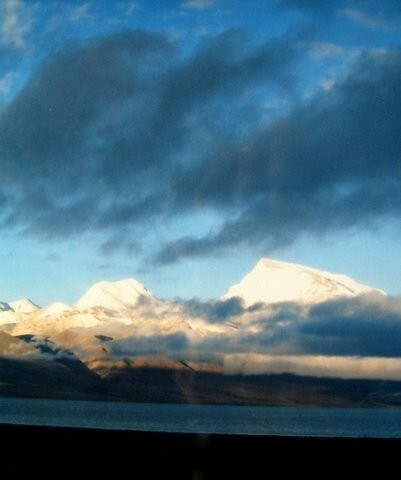 Manasarovar represents both the feminine aspect of the divine and an opportunity to be purified by the holy waters. It is the perfect preparation before approaching the mountain. The trip is designed so that, by the mountain you have the freedom and the possibility to experience Mount Kailash on your own. 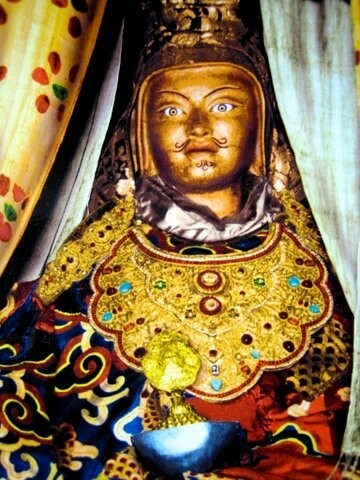 Everyone can walk the koras at his natural pace and so can fully let go, into one's individual connection with the mountain and thus connect to a personal rhythm on this spiritual path. The Chinese Government does not allow individual travel in Tibet, but in this way you are able to experience Kailash in your own way. During this time there will be no group meetings. Being together on such a trip we will experience both the joy of encountering the vastness and the purity of this stunning nature. Our pilgrimage can give us the time and energy to look deeply into life, and the vast open spaces may give rise to deep inner experiences. At the same time we can enjoy an open and tolerant contact with others, supporting each other on the journey and the challenging moments that may arise. To see each other in an interconnected way is a most dignified way of sharing one’s being. This is what one could call Yatra - true pilgrimage. Our friend who is arranging the practical side of the trip, has been living in Nepal since 1995, and has been organising trips to Kailash since 1998. He has walked over 100 circuits of the mountain and 14 circuits of Lake Manasarovar. 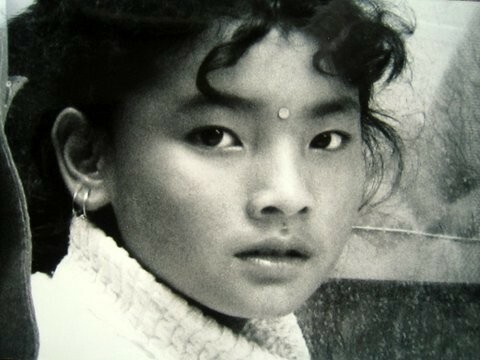 Everyone will need to arrive in Kathmandu by the 21st of June, so we have enough time to make the visa application. In this time you will be free to explore Kathmandu and the surrounding area. We will leave from Kathmandu as a group on the 26th driving by road to Nyalam at 3700m. We will then spend 3 full days acclimatizing to the altitude, with a walk each day - to Milarepa's cave, Phukaro's cave, and Tara Tso. The trekking days are planned so that every day we walk a little bit more and higher as a preparation for the kora. All this takes place in the midst of the Himalayas near the 8049m high Shismapangma surrounded by 6-7000 m high mountains with beautiful glaciers. In the period of time we spend in Nyalam you can give body and mind time to slowly adapt. We will then drive on to Saga (4640m) on the 30th, staying there overnight, and continuing the next day to Darchen (4560m) where we will spend the night. 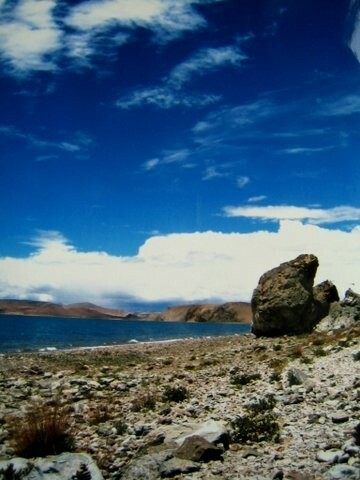 The next 4 days we will walk around Lake Manasarovar (4558m) stopping each night at a Gompa. 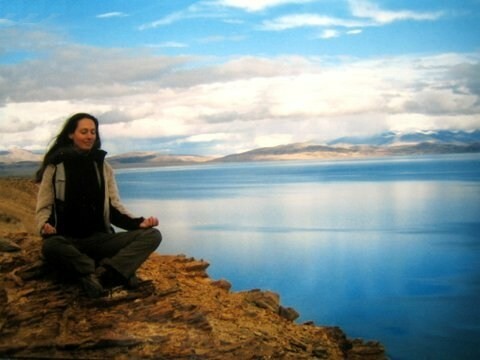 From June 22nd until our arrival at Mount Kailash, Nicole will be offering guided meditations, and the chance for one-to-one meetings. The group will mostly meet in the evenings to share a meditation, dinner and time together. 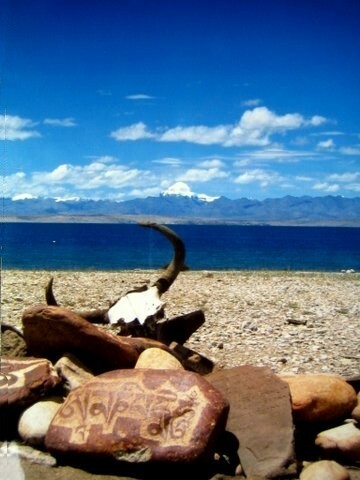 From the 6th of July until the 16th we will be at Mount Kailash. The 17th will be a rest day at the mountain and then from the 18th to 20th we will be returning as a group via Darchen, Saga and Nyalam. The price includes all transport from Kathmandu to Mount Kailash and back to Kathmandu. 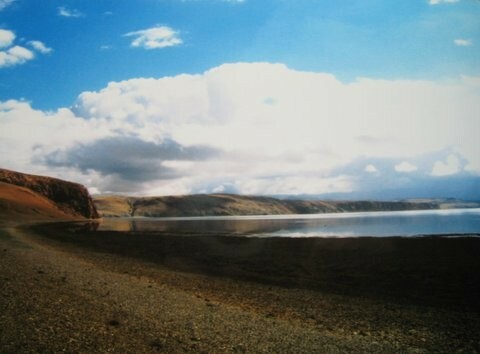 This includes all permits and road tolls in Tibet with a local guide and drivers. The price will be €1740. 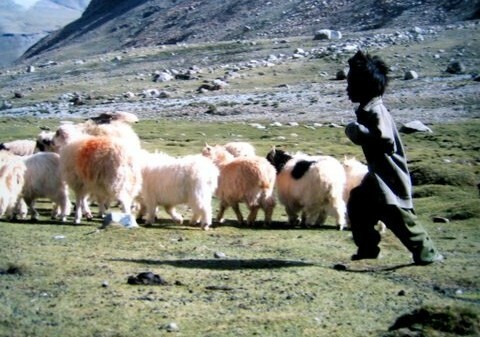 The price excludes food, accommodation, entrance fees, and visa costs for Tibet and Nepal. 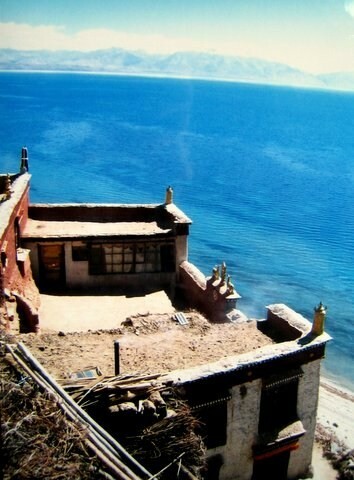 The visa fee for Tibet will be €83. The entrance fees in Tibet will total €45. A moderate budget would be around €12 to €18 per day for food and accommodation. 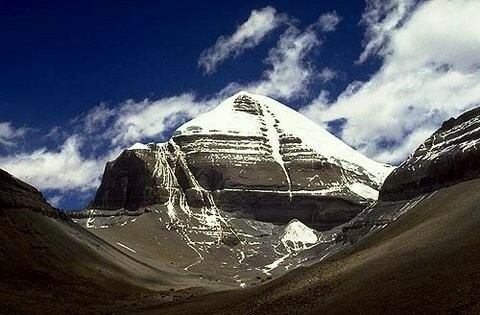 Mount Kailash - the most sacred mountain in the Tibetan Buddhist world it is considered to be the centre of the universe. 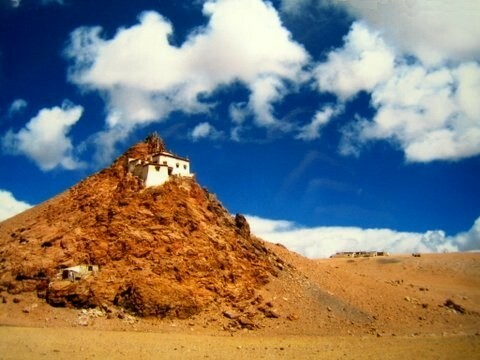 Uncannily symmetrical, this remote and remarkable peak is located in the far west of Tibet. 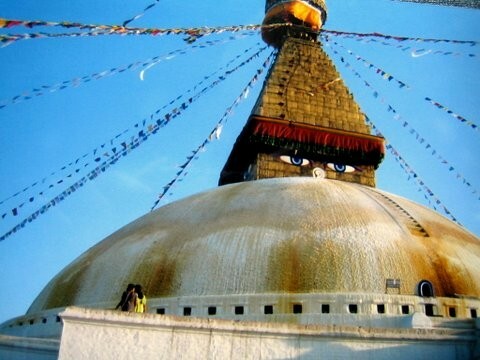 For many it is a primordial image of a stupa, crowned with a glacier and a perfect cone of pure snow. 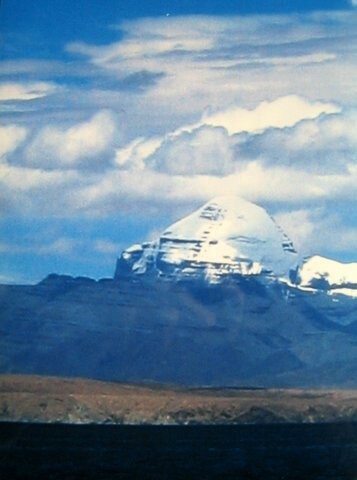 Mount Kailash has arguably, the unique distinction of being the world's most venerated holy mountain while at the same time being the least visited. Being the sacred mountain of four different religions and over one billion people. Kailash is seen by no more than several thousand pilgrims every year. The cosmologies and origin myths of Hinduism, Jainism and Buddhism refer to Kailash as the mythical Mount Meru, the centre and birthplace of the entire universe. The mountain was already legendary before the great Hindu epics, the Ramayana and the Mahabharata were written. Mount Kailash is so deeply embedded in the myths of ancient Asia that for many it is the location of the strongest cosmic power. In Sanskrit Kailas means luminous crystal. 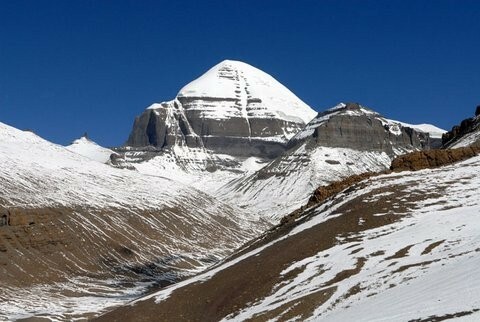 Hindus believe Mount Kailash to be the abode of Lord Shiva. 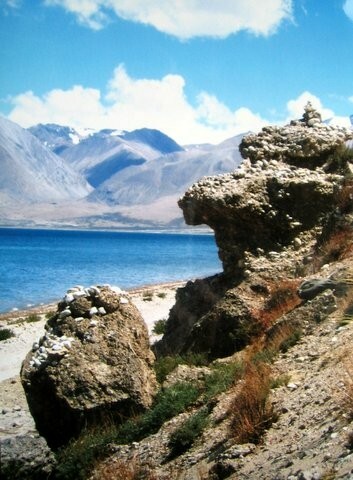 According to legend, the immortal Shiva is enthroned on the top of Kailash and the mountain is regarded as the location of exceptionally powerful transformation. Therefore a Hindu making the pilgrimage to Kailash and having a darshan (divine view) of Shiva's abode is to attain release from the clutches of ignorance and delusion.